Does the temperature of my pond water effect the oxygen supply? 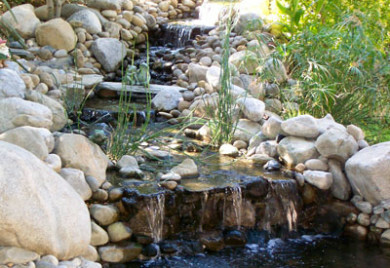 The temperature of your pond water has a profound effect on the amount of dissolved oxygen available in the pond. The hotter the water the less oxygen it can hold, therefore cold water holds much more oxygen. Using a small bubbler, air pump or aerator adds enough oxygen for most size ponds in the winter. Most pond fish do not require a lot of oxygen in the winter because of hibernation.